Effective advertising directed at a store’s potential customers also positively influences the store’s current employees. Researchers at Stockholm University and Stockholm School of Economics find that the organizational identification of the employees increases because the effectiveness of the advertising empowers them. Empowerment of staff with strong organizational identification builds store sales and lowers turnover of talented staff. Together, these improve profitability. When employees see their employers advertise, this builds pride. However, the research finds that a more important consideration is how effective the employees think the ads are. Therefore, regularly ask your employees for suggestions about your store advertising, incorporate those suggestions into your ad campaigns, and share with staff evidence of ad effectiveness. You also could invite employees to be featured in your ads. That builds organizational identification directly plus gives participants the opportunity to build it further by striving to be effective spokespersons. Use advertising and social media to inspire not only current, but also prospective, store staff. Include material on your social media sites to reflect the history and the culture of your store. Job applicants can assess the personality of your business from what you, the owner or operator, choose to show and tell. Encourage your current employees to contribute material to the pages, and then comment as the owner/operator on what’s been contributed. Invite job seekers to ask questions via the site, and then answer the questions in ways appealing to the types of people you’d like to have working for you. All this underlines the challenges in recognizing the full return on advertising investment. Beyond empowering employees, ads effective with consumers can increase interest among investors. And even if your advertising isn’t increasing sales right now, it still might be serving you well by bringing your store into the shopper’s consideration for the future. It’s no surprise that Erik Erikson developed the concept of “identity crisis,” which refers to a drive to determine who each of us truly is during our times of developmental change. As a blond, blue-eyed boy, Erik was teased at public school for being a Jew and teased at temple school for looking so different from other German Jews. Before creating his own surname of Erikson, he’d been born Erik Salomonsen and, upon adoption by his stepfather, was renamed Erik Homberger. Erikson did carve out his own definitive identity. He attained academic positions in Psychology at University of California and Yale University in spite of not having even a bachelor’s degree, let alone a doctorate. His articulation of the identity crisis concept led to him becoming one of the most cited psychologists in history. Researchers at University of Washington saw that as people move into their senior years, the developmental changes often lead to a series of identity crises. Because many of these people are active consumers, resolving the crises can become a selling point for providers of products and services. The elderly often struggle to maintain a coherent sense of self as they shed belongings when moving to smaller quarters and shed activities when their capabilities wane. These consumers place greater importance than do younger consumers on screening possibilities in the marketplace for consistency with their existing interests, values, and needs. Although they may continue to explore, the tone of the exploration is more like what’s been seen in other research when comparing experts against novices. Researchers at University of Cincinnati, University of Florida, and University of Mississippi offered choices of a variety of music samples to study participants. Novices accepted a few new songs in a multitude of genres. Experts, on the other hand, accepted a greater number of songs solely from one or a limited number of genres in which they considered themselves to have some expertise. Still, one burgeoning interest in the elderly is the desire to leave a legacy. The University of Washington researchers point to how a motivation arises to create an oral history, write an autobiography, or discuss prized possessions with younger family members. Women in particular often start to distribute their family heirlooms or add instructions to wills about ways the heirlooms are to be distributed. From financial planners to repairmen, those serving the elderly should recognize the drive for stable identity. Researchers at University of Cologne and Reutlingen University found that shoppers rated both the store and the merchandise in the store more positively when there was a match between the nature of the flooring surface and of the background music. The effect was seen when the shopper heard gentle musical selections while standing on carpeting and when vigorous music was heard while standing on stone tiles. These findings remind us of the benefits from coordinating the stimuli in a shopping environment to create a consistent message to consumers. The researchers explain that because consistent stimuli are easier to process, the person’s self-confidence builds, and this spreads to their assuredness in purchases they make and the venue in which they make the purchases. The research also reminds us of the importance of touch for your shoppers’ purchase decisions. It expands on this by finding that influential touch information comes not only via the hands and when a shopper seeks it out by picking up items, but also via the feet and when a shopper is exposed to softness versus hardness without seeking out touch information. In university laboratories and retail field settings, researchers at Freie Universität Berlin and Technische Universität Berlin exposed consumers to different feelings of surface hardness. The results indicate that greater amounts of hardness lead consumers to think of a retail business as rugged. Incongruous sensations can jar the shopper. Researchers at University of Oregon and York University found that ratings for a bag of coffee beans were lower when the bag looked like burlap but felt smooth like paper than when the surface both looked and felt like burlap. However, at the same time that we implement the benefits of coordinated store stimuli, let’s appreciate the value of mild incongruity—something a bit out of place. 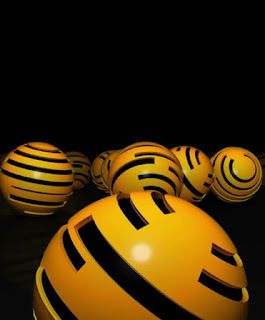 This is found to kindle processing. Incongruity tickles us cognitively and emotionally, so we devote resources to scratching. 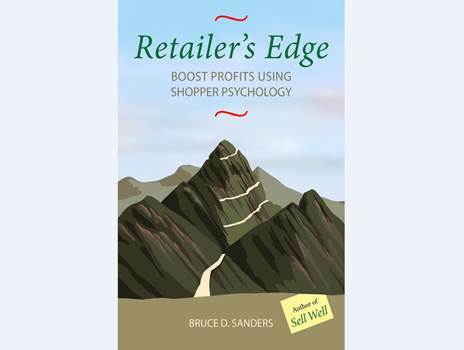 A repeated finding in consumer psychology is that retailers should introduce enough surprise to slow down the shopper for a moment to appreciate the sales message. 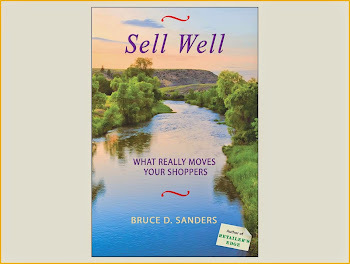 If a store impression is perfectly predictable, the shopper processes it all immediately and then moves on—beyond the range of a sale that benefits both the purchaser and the retailer. But researchers at Belgium’s Hasselt University-Diepenbeek found that in areas with merchandise targeted to women, an incongruent faint male-associated fragrance enhanced store and product ratings. Shoppers decide in different ways when alternatives are presented at the same time than when alternatives are presented one after another. Knowing about these effects of simultaneous and sequential choice helps you guide the process toward the best outcome. Researchers at Ohio State University and Erasmus University looked into the “unit effect,” which refers to times that a shopper emphasizes the numerals at the expense of the units. One example comes from the realm of dishwasher warranties. The researchers asked a group of consumers to state how much they’d be willing to pay for a dishwasher with a five-year warranty compared to one with a three-year warranty. Another group were asked the same question in comparing a dishwasher with a warranty of 60 months with a warranty of 36 months. Notice that 60 months is the same as five years and 36 months is the same as three years. Still, prior studies indicated that people often consider the difference in value to be greater when the warranty length is stated in months rather than years. People paid more attention to the numerals than to the unit of measurement. This unit effect disrupted rational decision making. The Ohio/Erasmus researchers identified a way to lessen the unit effect: Present the options all at the same time before asking the shopper to evaluate any one of them. It worked with willingness to pay for TVs when screen size was stated in inches versus centimeters, ground beef in pounds versus ounces, and kitchen knives with customer ratings on a ten-point scale versus a 1000-point scale. There are other determinants of the unit effect. When a shopper intends to make the purchase at an indefinite point in the future, they’ll pay more attention to the units than to the numerals. For consumers who want the table delivered today, 48 by 60 inches sounds larger than four by five feet. But people who are gathering information about possibilities will code feet as larger than inches, so “four by five feet” will be remembered by them as larger. So you might see the unit effect nixed even with sequential presentation. But researchers at Stanford University, University of Pennsylvania, and Columbia University find another disadvantage of sequential presentation compared to simultaneous presentation: The sequential leads shoppers to keep looking for a better alternative with a consequent lower level of satisfaction with whatever choice is made. Retailers who want to stay sensitive to customers might choose to administer satisfaction surveys. With regular customers, retailers might choose to administer surveys repeatedly. Study results from University of San Diego and Boston College argue that you might choose to think carefully before doing so. Surveys administered after each transaction, for example, generally irritate customers. The frequent customers question whether the retailer has been able to use all the information already provided. The infrequent customers view the survey as a trick to stay in touch and sell more rather than as genuine requests for constructive critiques. Negative effects of frequent surveys are more likely when the retailer is additionally reaching out to customers in other ways, such as via promotional mailings. The negative effects in the studies included longer times between visits to the retailer and lower purchase amounts from revisits. To get the best from a customer survey program, then, take care not to administer the questionnaires too frequently. How to tell the right frequency? Based on my experience in conducting such programs, I suggest that before asking a customer to complete another survey, you analyze results and tell the customer what actions you are taking in response to what you learned. And if you aren’t taking any action, even the action of looking more carefully at a potential problem, why put out another survey request? There are less intrusive ways to stay in touch with your customers. Avoid “and,” “or,” and “not” in items. When an item contains an “and” or an “or,” the customer might agree with one part and disagree with another part. They don’t know how to answer. A “not” in an item, such as, “I am not sure if the repair was successful,” is needlessly complicated. Include an “Other” or “Don’t know” as a reply alternative. Without this option, survey respondents feel overly restricted. Then follow with “Please tell us more below,” and leave a welcoming, unintimidating inch of space for a comment. In online administrations, allow the respondent to type more as the box scrolls down. Ask advice, not expectations. Advice questions are of the form, “What items of advice do you have for our store?” Expectations questions are of the form, “What are your expectations of our store?” Expectations can set off customer frustrations. When salespeople entice shoppers to actually touch products being considered for purchase, those shoppers become more interested in purchasing an item, are more willing to pay for higher quality, and are less likely to return purchases they’ve made. These factors can provide advantages for store-based retailers who are competing with online channels. Researchers from University of Michigan, Lanzhou University, and Sun Yat-Sen University find that these advantages are significantly stronger when shoppers are thinking concretely. There’s reason to believe that guiding the shopper toward the concrete comes not only from the language you use, but also from product arrangement. For instance, studies at Erasmus University, Loughborough School of Business and Economics, and Norwegian School of Management, find that shoppers are more interested in concrete features when gazing down at the merchandise and more interested in abstract claims when peering up. With shoppers clearly showing abstract reasoning at the time of sale, don’t bother inviting them to touch the merchandise. Touch does have downsides. Researchers at University of Alberta, University of British Columbia, and Arizona State University verify what most of us would have predicted: Customers have less attraction to an item on a rack or shelf when they're thinking about who else has touched it. They feel disgusted at the idea the product could have been contaminated by other shoppers. To cancel out the downsides in shops serving touchers, adjacent to, but separate from, shelving and racks that hold the items to be purchased, have sample items which can be handled. Have staff frequently refold, repackage, and re-shelve in order to remove cues of product contamination. To reduce fears of contamination, space out items on racks and shelves. Further, researchers at University of Southern California and University of Texas-Austin say that even with shoppers who are thinking concretely, you should subsequently switch to the abstract after getting the touch. You want people to spend time contemplating why to buy. Abstract words and phrases help accomplish that. Your shoppers, whether beginning their search in-store or online, are likely to look for ratings when comparing alternatives. An item with an average rating of four stars should prevail over one with an average rating of two stars, all else considered, and the customer will probably feel more satisfied after having made such a four-star choice. But does the format of the ratings make a difference in purchase intentions? Is it best for the retailer to present an average four-star rating in a mean format—just the four stars; in a distribution format—the percentage of ratings at each point on the scale from one to five, let’s say; or as both the mean and the distribution? Researchers at New Mexico State University and University of Nevada-Reno find that the mean format is the most likely of the three to lead to purchase of an alternative under consideration. The reason is that, of the three formats, the mean format is easiest for the shopper to mentally process, what is easier to process leaves us with a more positive feeling, and positive feelings lead to buying behavior. Ease of processing is especially important with rating comparisons because the shopper’s choices are not always straightforward. Consumer psychologists distinguish between “maximizers,” who want to choose the best possible alternative, and “satisficers,” who are pleased to settle for what’s good enough. Maximizers are usually willing to pay more money than satisficers and to spend more time deciding. But some maximizers are bargain hunters, searching for a deal on the very best. Other maximizers are happy to pay top dollar if they can depend on a trusted salesperson to quickly point them toward perfection. Researchers at Virginia Tech and University of Michigan showed that another complication arises from how maximizers define “very best.” One group of shoppers were asked to express degree of preference for an item rated 60 on a 100-point scale when all the other choices are rated at no higher than 50. For another group of shoppers, the focus item was rated at 80 and the alternatives topped out at a rating of 95. It might seem that maximizers in the “80 versus 95” group would express a stronger preference for their focus item than did maximizers in the “60 versus 50” group. But it turned out the other way around. Maximizers pay attention to relative in addition to absolute ratings. You will sell more food when shoppers consider the food to be fresh. An intriguing technique for suggesting freshness is to show the food in motion, according to researchers at Cornell University and Israel’s Ono Academic College. In a series of studies, participants were shown photos of foods and beverages such as pretzels, cornflakes, yogurt, and orange juice. In some cases, the photos showed the item sitting in a bowl or cup. In other cases, the photos were of the item being poured into the container. Consumers judged items to be fresher and predicted items would be tastier in those instances where the foods and beverages were shown being poured. The researchers hypothesize the effect is due to both evolution and learning. Running water is less likely than still water to harbor bacteria. Plant-based foods are less likely to be spoiled while still on living, moving trees. Asian wet markets keep live edible animals on hand because this reassures shoppers about the freshness of the meat. Other studies suggest that perception of motion can facilitate sales because this involves the viewer. Researchers at Northwestern University and University of Minnesota point out how when people see a baseball hit with great force, they often have a momentary feeling of certainty the ball will go out of the park. They get involved. Notice that in the Cornell/Ono research, photos, not videos, were used to portray motion. It’s not necessary to keep mechanically moving the food around on a shelf in order to move the food out the door in customers’ shopping bags. Further, packages you carry on your shelves which include green in the label are more likely to be perceived as fresh. Show consumers from throughout the world green product packaging and you'll probably hear descriptions like new, organic, healthy, and refreshing. If the packages themselves don’t have green, you can use green in the signage or even on the shelf tags. The freshness appeal of green is stronger when the store environment is tidy and there is a scent of pine. Still, the researchers in many of these studies caution that these ways of signaling freshness are not the same as ensuring the food is actually fresh. We’ll always want to back up the claims, especially when those claims are depending on evolutionary predisposition and subconscious triggering. When food’s expired, move it for sure, but to the trash. When fashion retailer Eileen Fisher was sensing a disconnect between customer expectations and store salesperson behavior, management hired consulting firm IDEO to spot the problem. What IDEO determined was that as the retailer moved their target markets toward younger consumers, shopper sought quicker, less intimate interactions. Analyzing the incident later, researchers at Harvard University, Boston University, and GfK said the customers wanted more of a fling than a love affair with Eileen Fisher. But as retailers move in the opposite direction, appealing to the burgeoning audience of senior citizens, the changes should be toward increased socializing, not less, and store staff should be coached accordingly. Older adults go to stores as much or more for the recreational experience of shopping than for the merchandise they purchase. Still, as researchers at Indian Institute of Management state in a comprehensive review of the literature on selling to seniors, the schmoozing should be more than idle chatter. It should be addressed toward understanding problems presented by the shopper and then helping to resolve those problems. Some problems are strictly logistical, such as trouble reading labels in small print, fetching an item that’s out of reach, or getting a small enough size of the item. Other problems facing the shopper, and by extension the retailer, might require sustained effort and referrals in order to remedy. The desire for socializing comes when younger family members pull away or because physical problems make it more difficult or more fearsome to socialize freely. The attractiveness of diving into problem solving arises in part because as we age, we become increasingly aware that our time on earth does end. Older people generally perceive themselves as having more time than money, but with their bank of time still being limited. The Indian Institute of Management researchers propose that retailers segment target audiences of seniors on the basis of how far away from the end of life they perceive themselves to be. This differs from the approach we take to market segmentation with children and younger adults, which we base on the duration since birth. Along with schmoozing, notice any companions with the shopper. If the companions are clearly younger and the senior defers to their judgment, this shopper likely has a higher cognitive age. If companions are of similar age to the senior shopper and the senior participates actively in purchase decisions, the cognitive age is probably lower.